Invisalign is a clear teeth straightening solution that allows wearers to avoid traditional metal braces in many cases. 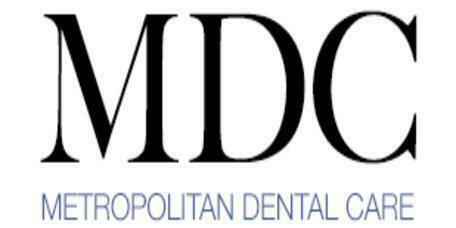 Midtown, New York, NY dentist, Dr. Nicole Mermet, offers a wide range of general and cosmetic dentistry services including Invisalign teeth straightening. Conveniently located by Bryant Park and Grand Central Station. Invisalign is a removable teeth straightening device that is often used for mild to moderate teeth alignment issues in adolescents and adults. Many patients who opt for Invisalign are people who are looking for a better alternative to metal braces. How Does Invisalign Work Compared to Metal Braces? Metal braces are composed of brackets and wires that are adhered to the teeth with dental resin cement. The braces are then tightened on a regular basis so that the teeth are moved gradually into the desired state of alignment. With Invisalign, the straightening is done by clear plastic retaining devices called aligners. These devices, which include one aligner for the top teeth and one for the bottom teeth, are swapped out for new trays every 2 weeks. Each progressive set of Invisalign aligners will move the teeth into a better position until they finally end in the correct position. Invisalign has a distinct cosmetic advantage over metal braces since the aligners are clear. It is possible to straighten teeth without other people knowing about it with Invisalign. Another significant advantage is that the Invisalign aligners are removed for eating and teeth care. This means that Invisalign wearers don't have to be restricted in what they eat like metal braces wearers are. How Long is Invisalign Worn? It depends on the individual, but most people wear Invisalign for about 12 months on average. In some patients, Invisalign may be used for as little as 6 months or as much as 18 months. This means that Invisalign treatment is often completed in a shorter period that teeth straightening with metal braces since metal braces are often worn up to 24 months. During the course of Invisalign treatment, it is usually recommended that patients wear the aligners around the clock except for eating, drinking, and brushing the teeth.